For knowledgeable representation regarding a business or commercial matter, people in Dallas, Texas, turn to The Hunnicutt Law Firm. With 25 years of experience, our founder, Steve Hunnicutt, is able to help clients handle conflicts via litigation, mediation and alternative dispute resolution. This includes cases pertaining to construction and real estate, oil and gas matters, purchase and sale of assets, trademark infringement, whistleblowers, fraud and breach of contract. Having started his career as in-house counsel to a Fortune 500 company, Mr. Hunnicutt has a deep understanding of the complex issues and high-stakes businesses face. Since then, he has advocated for entrepreneurs, owners, real estate developers and individuals who are owed commissions in both federal and state courts. Whether through trial or negotiation, our law firm works relentlessly to obtain the best possible result. Our team meets frequently to discuss the standing and unique strategy for each case while maintaining honest and open communication with clients. Although we are based in Dallas, we are proud to serve the greater metropolitan area, including the cities of Plano and Fort Worth and the counties of Collin, Denton and Rockwall. 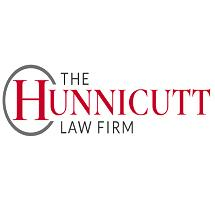 The Hunnicutt Law Firm invites prospective clients to arrange a preliminary consultation to discuss their cases and goals.